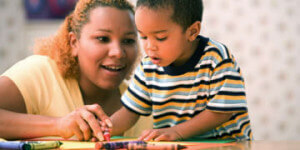 What are Developmental Delays in Children? While children typically have few problems achieving major milestones like saying their first words, learning to walk or being able to count to 10, it’s still important to recognize a developmental delay if it arises. Developmental delays are not uncommon, and many can be remedied with appropriate therapy, education or medical interventions if diagnosed in a timely manner. Developmental delays can occur in communication, neurological, behavioral, social and processing areas, and can affect how children interact with others and the world around them. So what makes the difference between ordinary development and delays that could possibly affect future learning and social success? Research has given us a window of time for normal acquisition of certain behaviors and skills. Delays in these areas might be observed by parents around the home, physicians during routine wellness checks, or preschool teachers monitoring play and learning activities. Since a developmental delay can affect further acquisition of appropriate skills in one or more areas, it is important to recognize possible delays, determine their causes and address them quickly. Normal speech and language development takes a predictable path for meaningful sound productions from easiest to hardest. For example, /m/ and /d/ appear early in babbling stages making “mama” and “dada” frontrunners for first spoken words by 12 months. Physiological components for speech and language production relate to adequate hearing and motor skills as children must hear sounds to reproduce them and coordinate tongue and lip movements to form them appropriately. Environmental factors can include gender with boys often developing vocabulary more slowly than girls or birth order with younger children benefiting from interactions with older siblings to develop communication skills more rapidly. Articulation errors or limited verbal expression occurring beyond anticipated developmental time frames may signal the need for intervention. Neurological or motor problems can affect balance, coordination, movement, vision or grasp. Difficulties may come to a light when a child attempts to speak, sit up, stand, walk, track movement, or hold and use objects. Physicians can use checklists and questionnaires to assess the achievement of certain milestones such as sitting up with support by six months or being able to hold a crayon with control by age three. Children who exhibit frustration with routine social interactions or frequently demonstrate behavioral outbursts may be experiencing delayed social-emotional development. Such delays often come to light when a child’s responses or reactions seem less mature compared to peers. For example, by age five most children understand how to take turns so those who have difficulty demonstrating this may need assistance to fit in with classmates during games and activities. Cognition refers to comprehension or expression and how the brain processes information. Children with these types of disorders may show poor problem solving or learning abilities for their age. Cognitive delays often do not become fully evident until children begin to attend school where they fall behind in achievement milestones for reading, writing or math. Fortunately, there are many available resources locally and nationwide to help answer questions about developmental delays. Concerned caregivers who suspect a developmental delay should talk with their family pediatrician or investigate early childhood education programs about assessment options.